Since the time that Christopher Columbus began the slave trade in the Caribbean, enslaved Africans looked towards the indigenous Native tribes of the America’s for refuge. From these unions a singular identity was formed that was distinct from its parents, being both African and Native.These groups were marginalized at higher rates than their parents and have been virtually wiped from historical records and were forced to choose a side or have one chosen for them. 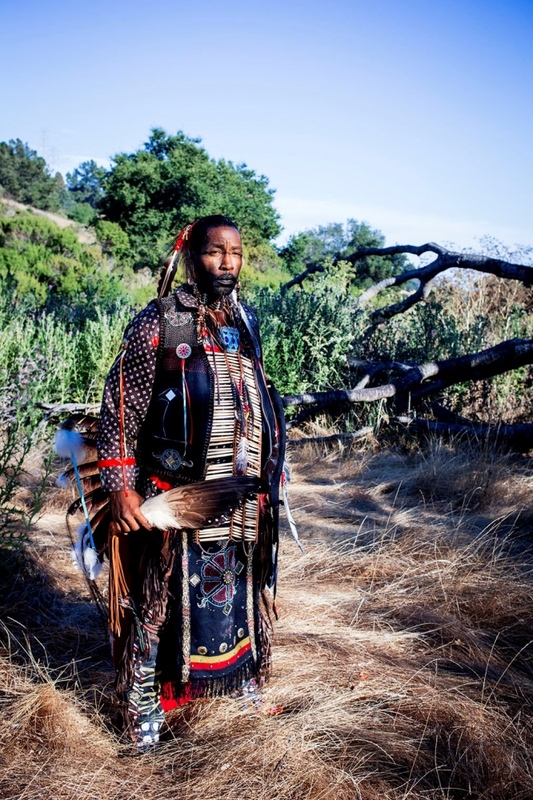 Afro Native Narratives is a body of work that looks to explore and assist in the preservation of Black Native Identity through the mediums of portrait photography and video documentary. Questions around contemporary issues like how culture differs from DNA and how that affects the blood quantum, and what the future of mixed raced identity is in rapidly changing America. We aim to bring back and continue the discussion of Black Native Identity to the forefront and bring forward the faces of Black Natives who continue to embrace their traditions. By Michael Santiago — Photography by Michael Santiago Written By Macha Rose Hamo Ibrahim’s eyes are distant and hands are trembling as he recalls the days before the..
By Michael Santiago — When Ken Shandy made the decision to start eating healthier he weighed 580 pounds. At that point, he had developed high blood pressure – an..
By Michael Santiago — 3 years ago I moved to California to pursue my dream of graduating from college. At that time my father went into complete kidney failure and now..